Worrisome San Jose resident Michelle Aguilar is searching for her service dog who went missing May 30. 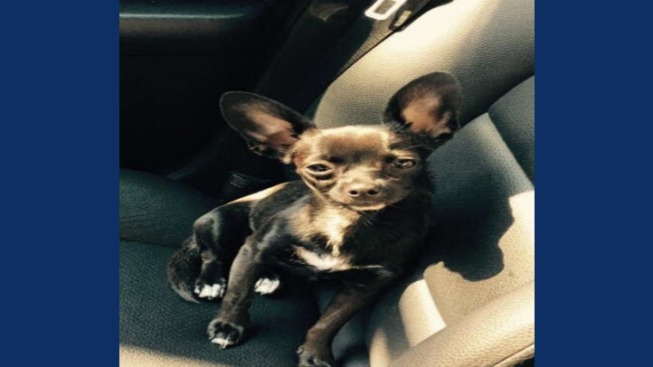 The black Chihuahua named Khloe was hit by a blue SUV that morning, according to Aguilar. After the collision, the dog went missing. The last known location of Khloe was in South San Jose, near the Capitol Expressway Auto Mall. "I just want her home safe, no questions asked," Aguilar wrote on a flyer for the missing pup. Khloe provides emotional support for Aguilar, who has been reaching out in an effort to retrieve her dog, according to the owner. Aguilar is offering a cash reward for the return of her pet. Other identifying factors of the dog include white patches on the chin and chest. If seen, it should be known that Khloe may have some injuries, as well as be malnourished. Khloe should be approached with caution, as she may be frightened, Aguilar stated. Anyone with information is asked to contact Aguilar at 408-841-0841.